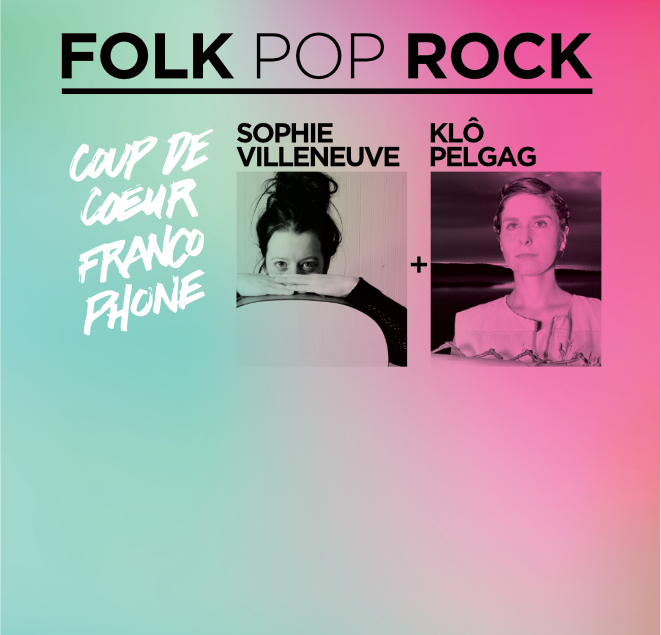 Klô Pelgag will take you on a journey into her incomparable musical universe, opening with singer-songwriter Sophie Villeneuve. Klô Pelgag prevails much like an evanescent breath of air in the Quebec musical landscape. The birth of her second album, L’étoile thoracique has, once again, urged her on to carry her creatures on a tour to the four corners of the Francophone world. She considers the stage her own vast playground, but where most artists strive to show their best and most polished versions, the winner of the Best Female Artist of the Year award at the last Gala de l’ADISQ dives head first in the opposite direction. Set in a circus-like atmosphere, Klô Pelgag leads troops toward the improbable – a desire, beyond logic, to surpass in a stroke of lightning and frenzy. Inspired by her new life in the North since leaving Quebec, Sophie Villeneuve tells her story in all honesty, in her show, Le chant du hibou. Whether through her stories about dogsledding, her northern romances, her skiing adventures in avalanche country or her winter spent living in a prospector tent, she doesn’t let you miss the journey. Characterised by the directness of her lyrics, Sophie moves from guitar to piano in her mainly French compositions, with a few in English. Addressing the crowd as if around a campfire, Sophie Villeneuve offers an authentic North of 60 experience. Tickets on sale at the Yukon Arts Centre, online at www.yukontickets.com and at the door. This show is presented by the Association franco-yukonnaise as part of the national tour Coup de coeur francophone.